As was the case with the folk song’s author and his grandfather, Elizabeth Jean‘s crew and friends roamed Nassau Town for the better part of a month. During that time, we eschewed “drinking all night and getting into fights.” Instead we savored separate visits with our daughter Beth and friends Bill, Amy and Anna Ferron (and their Nassau-based nephew and niece-in-law Andrew and Emily). Highlights of our Nassau sojourn included Beach Soccer championships, overnight sails to West Bay anchorage with its stunning sun sets, rich history and fine snorkeling, tours of Nassau’s cultural museum and museum of slavery and emancipation, conch fritters, salad, cracked conch and snapper at Bro B’s (under the bridge), and the flamingo parade. In contrast to the Sloop John B‘s crew, Nassau did not leave us “wanting to go home,” but whetted our appetite for further island exploration. Disney cruise ships lit up the night sky with fireworks during our night passage from Grand Bahama Island to New Providence Island (home to Nassau). 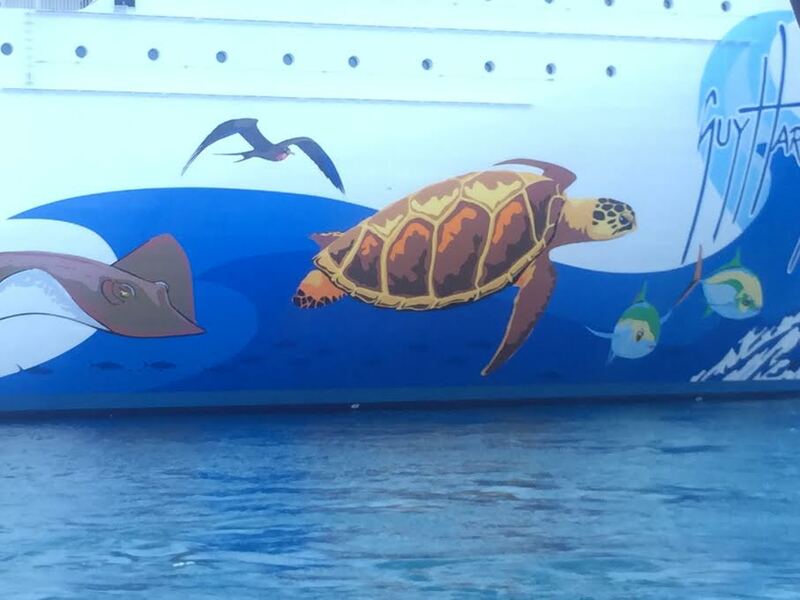 This ship’s larger than life mural only hints at the beauty lying under the sea. 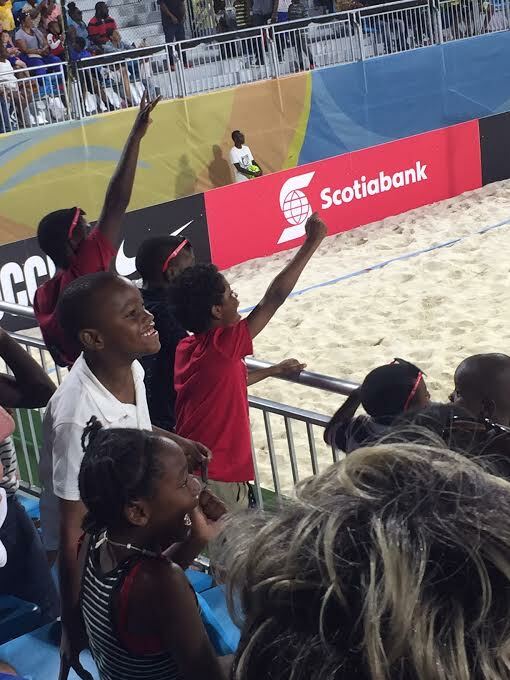 FIFA’s regional beach soccer playoffs were in full swing during much of our Nassau stay. 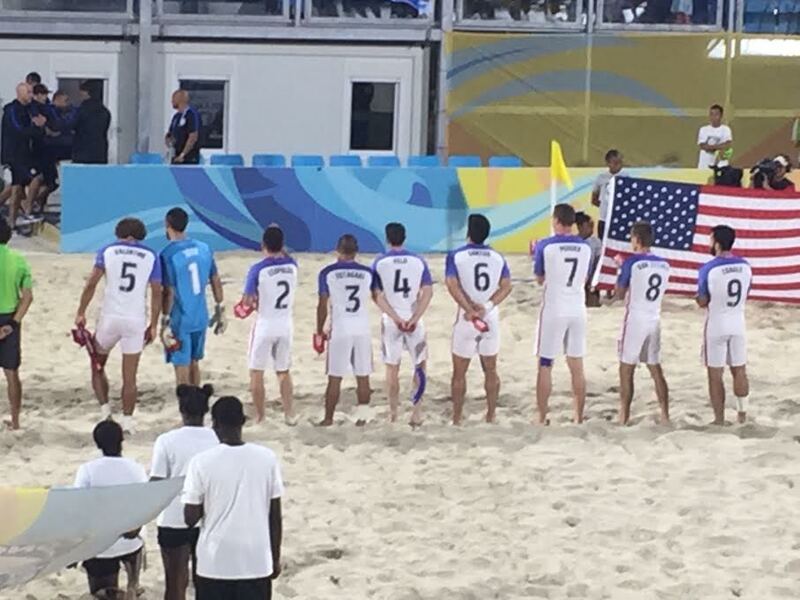 Here the U.S. team stands for the pre-game flag ceremony. The U.S. met the Bahamian team in the playoffs. We were a decided minority in the stands. Both teams advanced to the world championships in Nassau at the end of April. The local fans fervently supported their team. 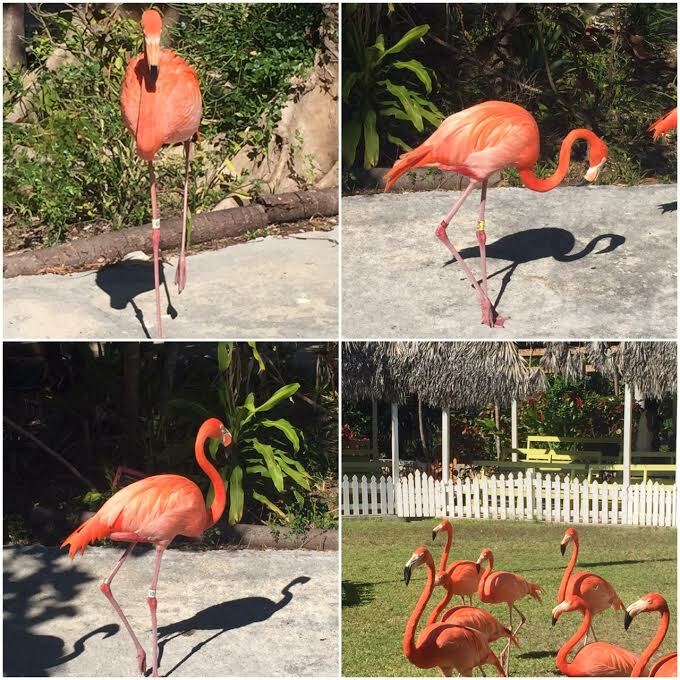 The flamingos paraded for us at the Adastra Garden, Zoo and Conservation Centre. After the Revolutionary War, the British Government gave large land grants to British loyalists from the former colonies. 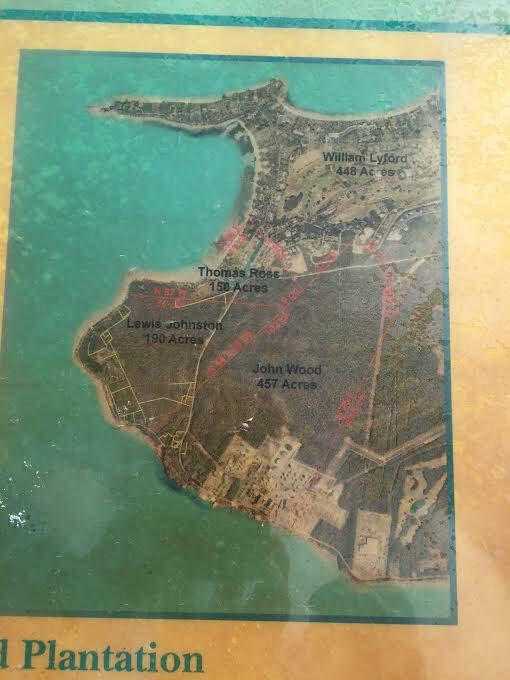 This map from the Clifton Beach Heritage area shows these large tracts. The map also shows West Bay, a perfect anchorage when the wind is from any direction other than the west. The Lyford tract is now a beautiful residential area that includes a marina. Andrew and Emily hosted us and the Ferrons for a marvelous dinner in their Lyford Cay home. 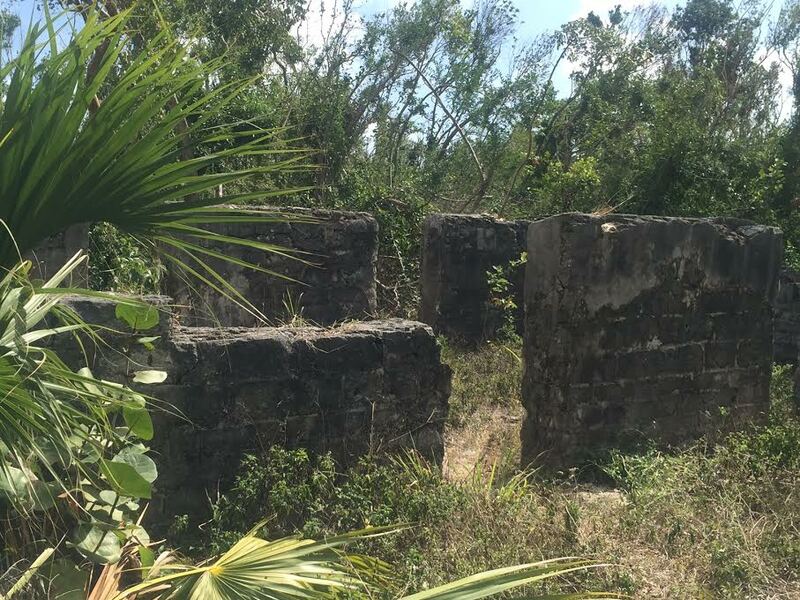 These ruins suggest a harsh and primitive existence for the Royalists who fled the colonies with their slaves. A year ago we described how the strong northerly winter winds originating in North America and the easterly Trade Winds governed our travel up the Caribbean Sea. Our game then was to wait for a northerly to pass and suppress the Trade Winds and to travel before either the Trades were too strong or another northerly set in locking us down A year later we are playing the same game. 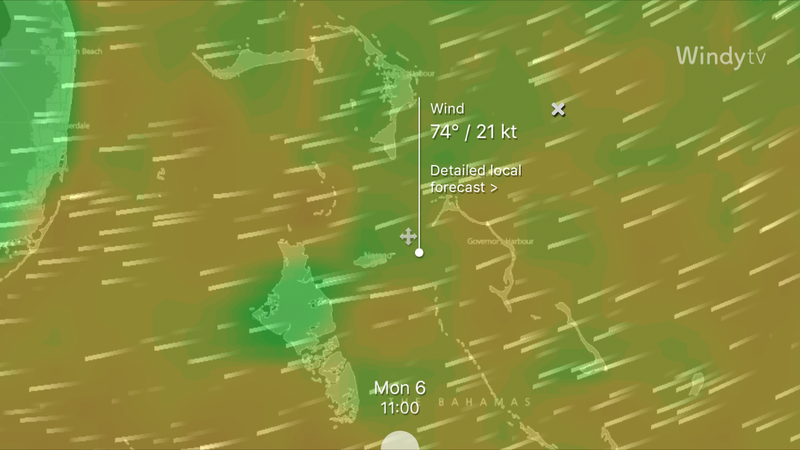 So far we’ve used one weather window to hop from Lake Worth Florida to West End on Grand Bahama Island. Another window allowed us to briskly promenade down the Northwest Channel Passage to West Bay on New Providence Island (home to Nassau) during a third window we entertained daughter Beth, showing her Nassau’s sights and rusticating for several days at anchor in West Bay. 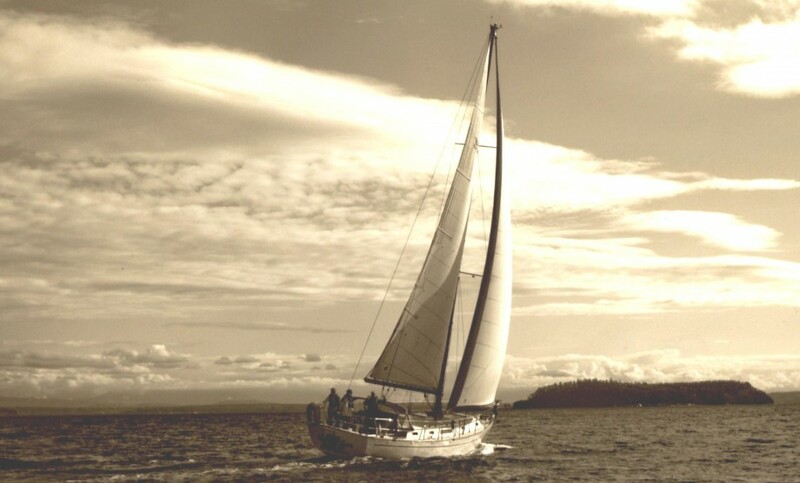 In between favorable windows, Elizabeth Jean and her crew have rocked and rolled in a marina with winds most recently steady at 25-30 knots and gusts as high as 39.4. 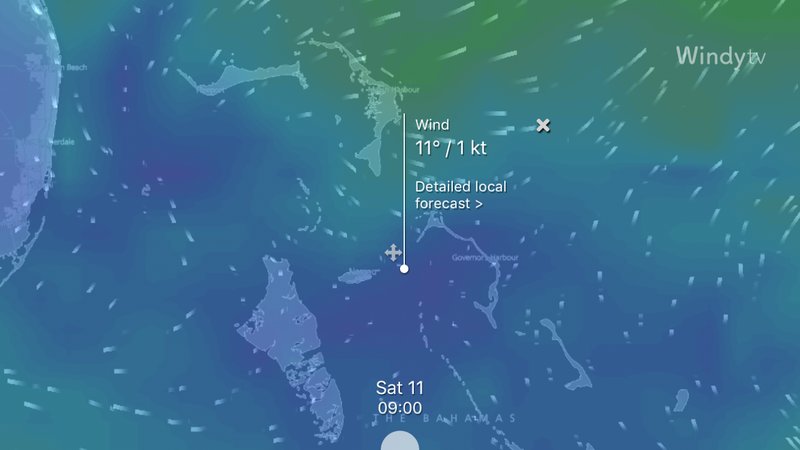 This screen shot of our Windyty app shows Monday’s winds: predominantly from the East North East at 21 knots. The dot is just east of New Providence Island (Nassau) our present location. 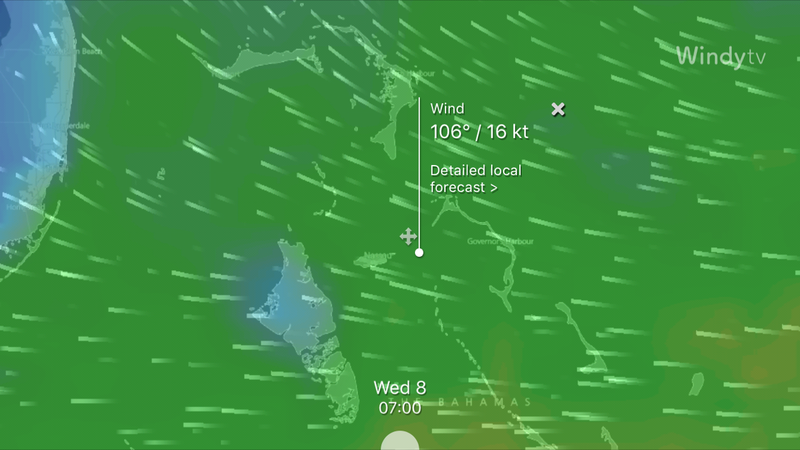 By Wednesday winds have shifted more to the East South East and dropped to 16 knots. 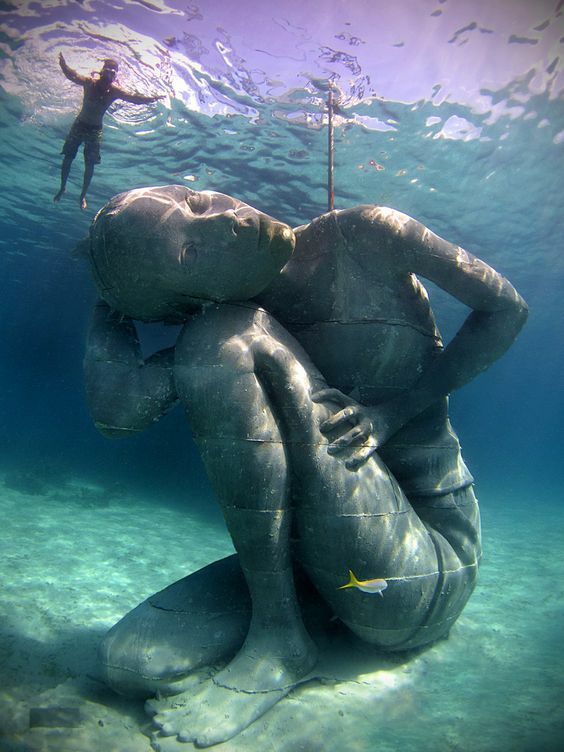 We might consider moving, but are likely to let things settle some more. Saturday, March 11 shows light and variable winds. We would be motoring, but we should be able to comfortably move. The key question would be how long before the next cold front and could we get someplace safe to ride things out.